You want to visit an optician that has a brilliant reputation, quality products, clinical excellence and outstanding service to match. When you visit Scotts Opticians for the first time, you will then understand why so many people have recommended us in the past. 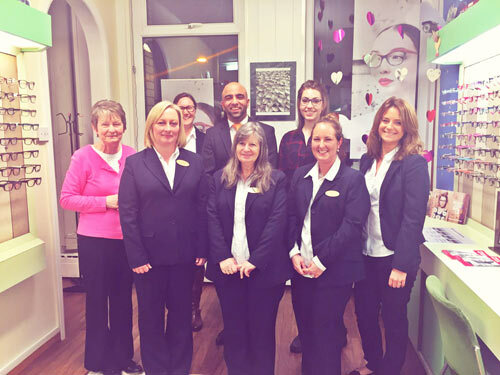 As Thetford’s leading independent eye specialists, we currently have over 7000 loyal patients on our books. Through feedback, our patients have told us they are incredibly satisfied with the level of care they have received, please see our Testimonial page. We hope you will be too – why not book an appointment and see for yourself? Scotts Opticians was established prior to 1980. The strong reputation of the practice was built up during this time and we welcome patients from far and wide today, with some coming to us from as far away as Thailand for their eye examination! Not only is our team known for their compassionate nature, but our building is widely known too. We are currently situated in the old Red Cross building in Thetford that was used in the war to care for injured soldiers and the local community. We not only want to be custodians of your vision, but of this caring history too. In 2012, Parth Shah took over the practice. Since taking on the practice, Parth has significantly improved the technology his team use and invested heavily in the equipment within the practice. One of the machines that has been installed in the practice is called an OCT. This machine creates an in-depth image of your eyes, allowing Parth and his team to look at them in much greater detail. Don’t take somebody else’s word for it – try our experienced and friendly team for yourself. Simply book your appointment by calling Scotts Opticians today on 01842 764831 or use our online booking form.